Fears that a gang of professional bike thieves are operating in the Bristol area were confirmed last night when a number of bikes were stolen from the home CNP Orbea rider and road.cc tester John Whittington in the Redland area of Bristol. Some time between 9pm and 6am thieves broke in to the occupied house in which the bikes were stored, bypassing security measures to steal a number of high end bikes and equipment. The targeted nature of the raid was emphasised by the fact that only high value items were stolen - John's commuter and training bikes were left behind. Merckx EMX3 Athena, red/black carbon. Orbea Alma G10 L/26inch, white carbon, white marzzochi forks, xt brakes, mavic slr wheels, USE seatpost/handlebars, sticker with name on seatstay. 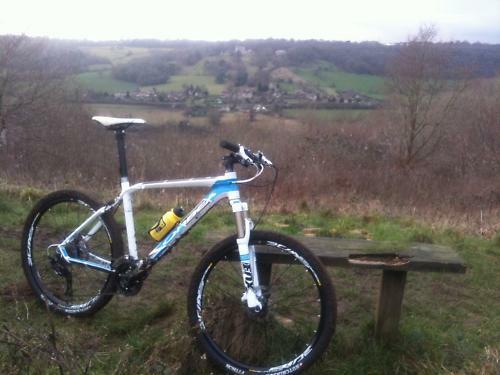 Orbea Alma S30 L/26inch, white/blue alu, sticker with name on seatstay. 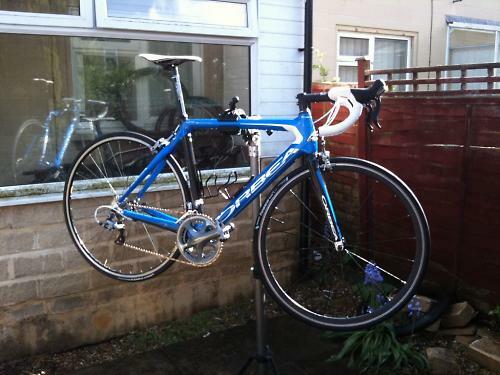 Obrea Onix, blue/carbon, FSA SLR cranks (not in photo) sticker with name on toptube. We also have some videos of two of the bikes stolen. That the raid was a planned and targeted affair seems clear - John travel with his bikes and had been away racing until yesterday, the thieves also broke in to his van looking for items to steal - even though it was not parked outside his house. Recently we reported on fears that a gang was targeting mountain bikers in Bristol following riders of high end bikes home from local ride spots and then returning to steal their bikes later. 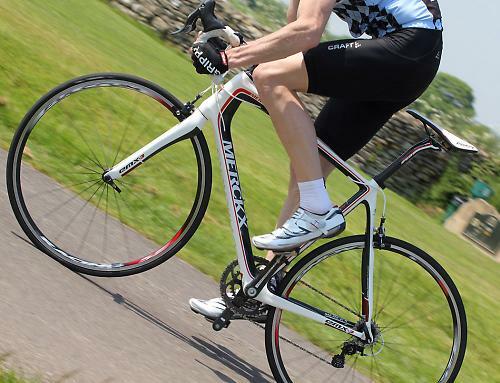 Over the years we have also reported on a number of cases in which professional and semi professional riders in the Bristol and surrounding areas have had their bikes stolen - with the thieves usually targeting only the most valuable items. It seems clear that whoever is doing this knows exactly what they are stealing and has links to the cycling world. 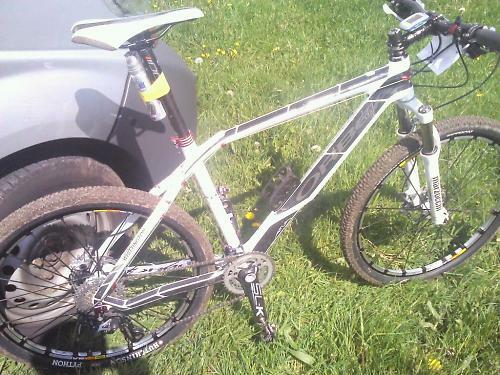 We would ask everyone to keep a look out for these bikes which could surface either in the local area or another part of the country - if you are offered an Orbea or Merkx (or the frames or component parts) at a suspiciously low price, please be aware that they may be stolen and if you think they are call the Avon & Somerset Police on 0845 456 7000 and mention the Redland bike burglarly.